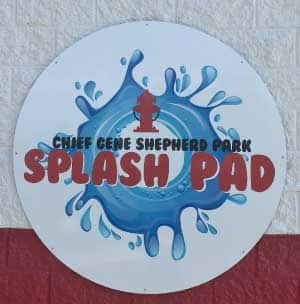 Chief Gene Shepherd Splash Pad is a splash park located in Shelby Township. It’s open Memorial Day through Labor Day and is a great way to beat the heat and is a welcome addition to the city. Use for residents of Shelby Township and Utica. Non-residents may use the park if accompanied by a current resident. In 2010 Chief Gene Shepherd was diagnosed with cancer and passed in 2012. 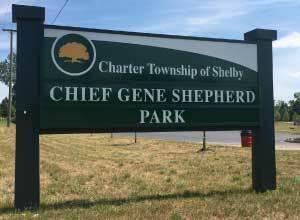 He was the fire chief of Shelby Township for 5 years and worked for the department for 25 years in total. He was well known for his kindness and bravery as well as his problem solving and open management style. In 2012 it was decided to name the former Soccer City development in honor of his hard work. The Splash Pad is a little over 3300 square-feet and can accommodate up to 80 children at a time. Spread the word...refer a new patient to chiropractic care and receive a complimentary half hour massage!